The Middle East Materials Project (MEMP) has digitized two newspapers related to Iraq, from original holdings at UCLA Libraries, that are now available to researchers. 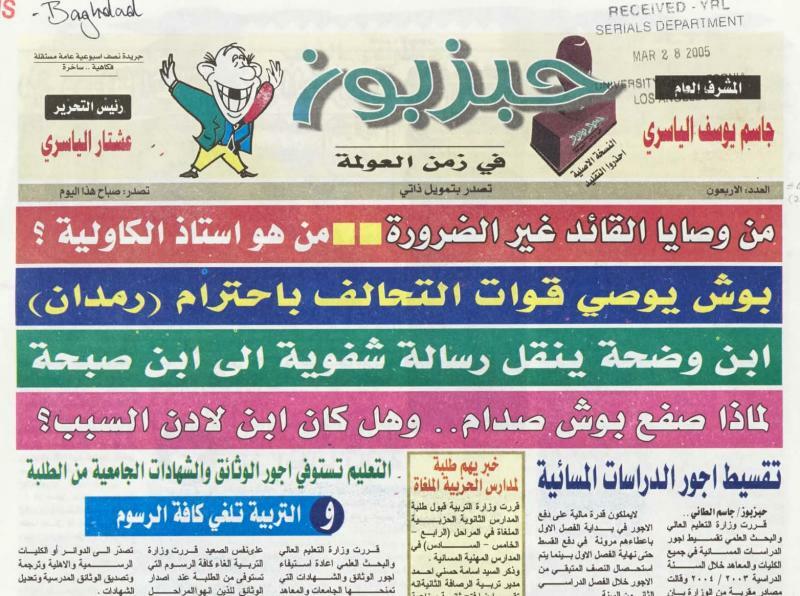 Habzbuz is an illustrated, satirical Arabic-language newspaper published in Baghdad after the 2003 invasion. MEMP has digitized issues from 2003. The newspaper contains a wealth of political cartoons on events and public figures during the U.S. occupation. 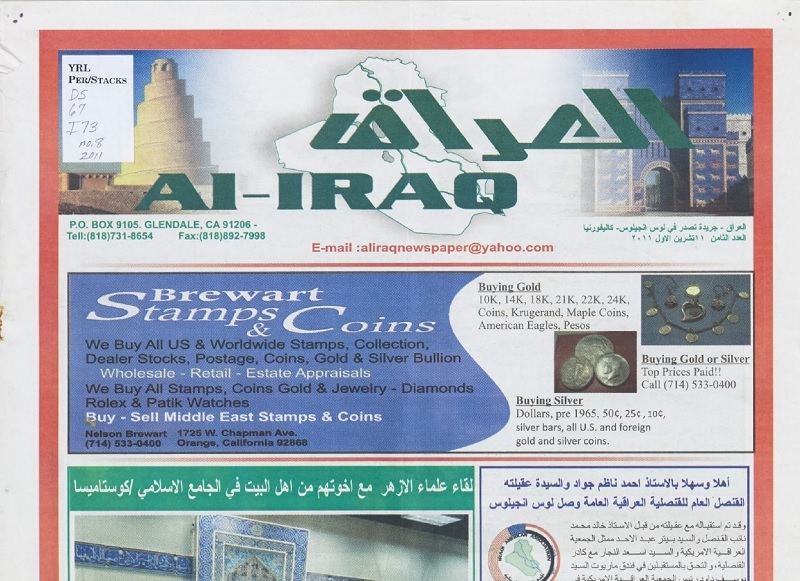 Al-Iraq is an Arabic-language newspaper of the Iraqi diaspora community, published in Glendale, California. The issues included in this digitization project are from April 2011 to October 2013.